I've been hanging out over on pinterest again. 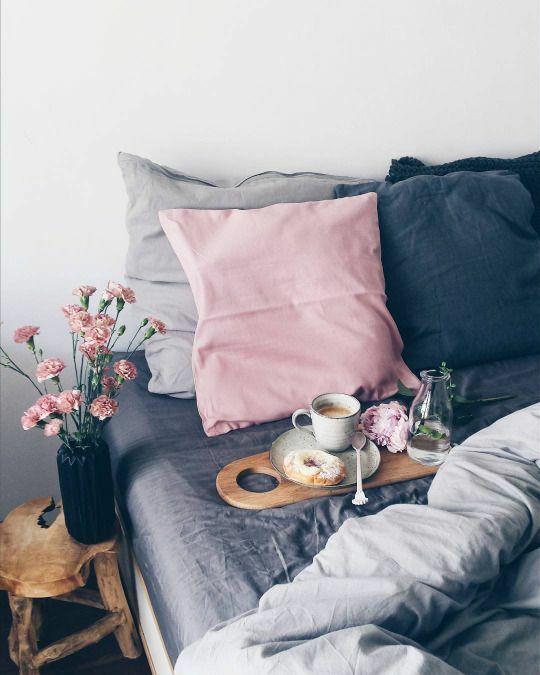 This time I'm looking for bedroom design inspo. My bedroom at the moment is very dark, it has huge pieces of antique furniture that I love but I feel a little bit like they are shouting at me at the moment. I think it's because i've finally fallen out of love with my vivid green arsenic walls and my vintage chintz blind, actually putting it down like that makes it sound horrific, although it is nice really, very dramatic! 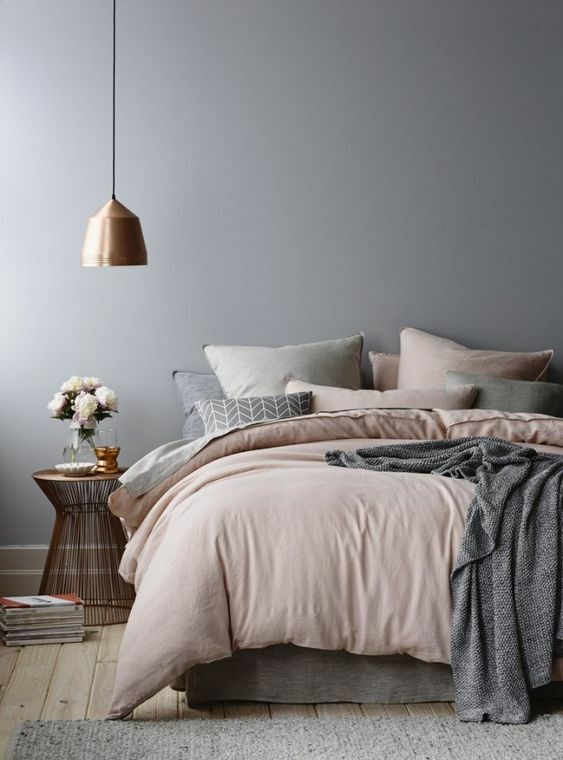 But, I'm just a little fed up with it now and I'm after something calm and relaxing, plus I'm keeping my antique furniture so I'm after a wall colour that will compliment the pieces and not fight for attention with them. Im heading towards a pale grey, I've picked a couple of +Farrow & Ball testers to try. 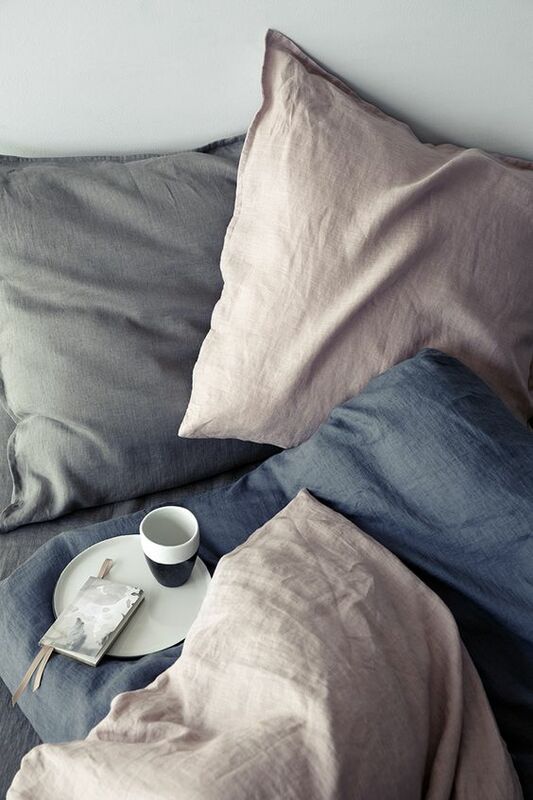 I'm also swooning over soft shades of pink linen bedding! I'd love to get started on it right away but my husband has convinced me that it's probably best to wait till after easter...... Anyway, you can see what I'm pinning and look up the original owners of these beautiful pics on my pinterest board! In the mean time i'll just have to be content with painting samples over my walls.